this is a fantastic feature for people working with packaging because artwork for boxes and whatnot usually have elements rotated 90, 180 and 270 degrees — all on the one page. 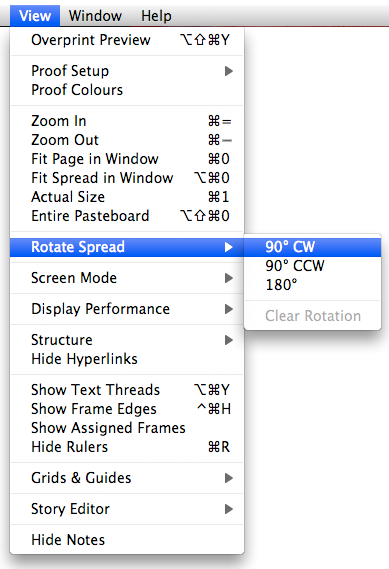 this is also really useful when you are working on a document to be produced as vertical spreads — like a wall calendar. 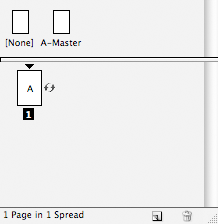 traditionally these had to be compiled as single pages, but now an entire document can be set up in rotated spreads. 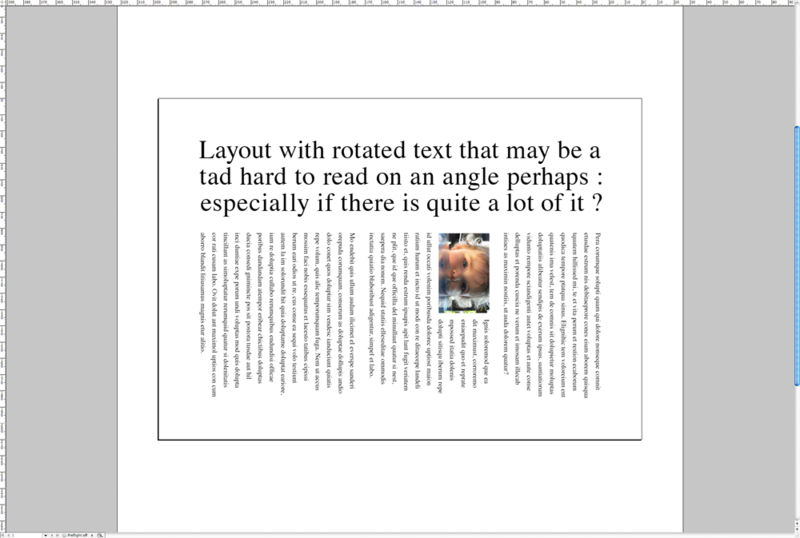 hopefully InDesign will someday allow for true vertical spreads because, brilliant as rotated previews are, there is one major drawback — it really makes it difficult when working out x and y ruler coordinates. 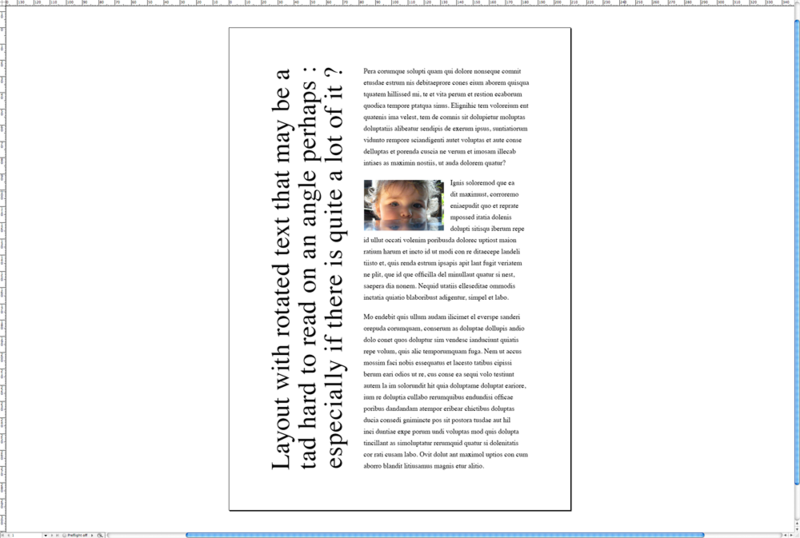 This entry was posted in indesign, indesign tip and tagged adobe, how to, InDesign, rotated spreads, tip, tutorial by macgrunt. Bookmark the permalink.